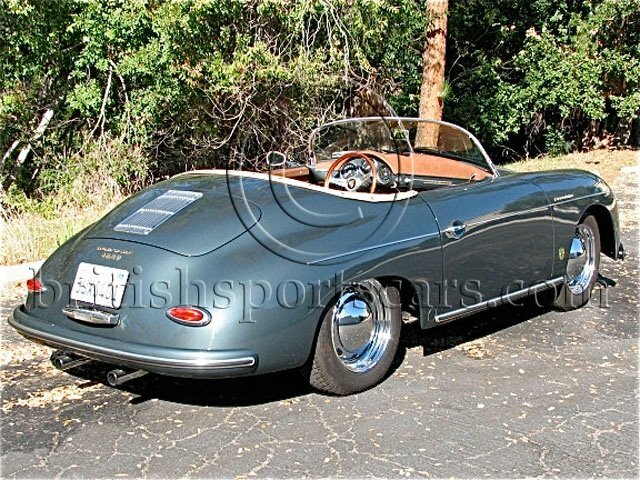 This is a great Porsche 356 Speedster replica. You just about can not tell the difference between this and the real thing. I would say that this even looks better and drives nicer but does not have the 100K price tag. This vehicle has cover only 4,000 miles sine it was built. It is built out of and registered as a Volkswagen.As you may know that is what the real Porsches were basically built from. The car drives great and get lads of attention. This particular car has many upgrades including front disk brakes and Webber carbs.